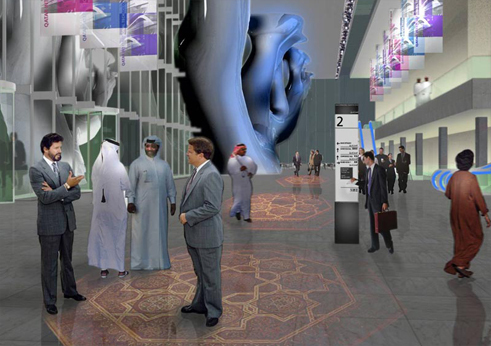 In 2004-5, while with RHWL Partnership, David Wright was Design Director for a major international convention centre for the State of Qatar, in collaboration with Concept Architect Arata Isozaki. He led a team of 20 architects in formulating a detailed tender package for a Design and Build procurement process. 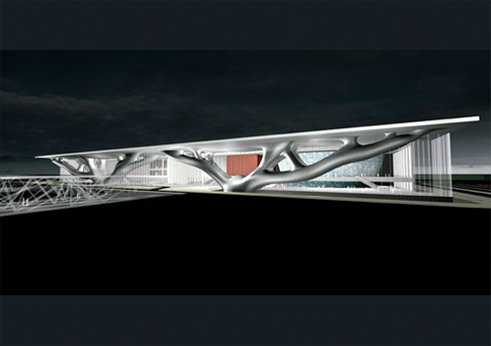 Completion - 2011. 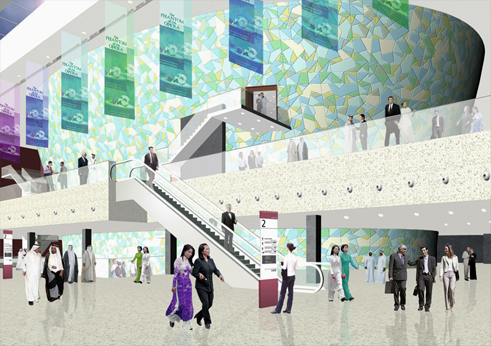 The project includes a 2500-seat plenary hall/lyric theatre, a 500-seat conference hall/drama theatre, a 4000-seat flexible convention/banquet hall, a 4,500m2 exhibition hall, and 6 smaller halls of between 150 and 400 seats, as well as meeting rooms, VIP rooms and other facilities. David was responsible for the interior design of all the principal spaces, as well as the selection of all fixtures, fittings and loose furniture. 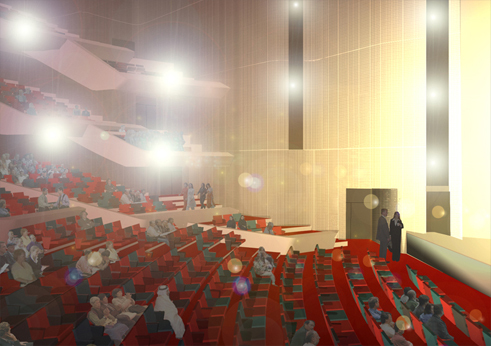 The 2500-seat Hall 1 is in three tiers, with walls clad in acoustically-transparent stainless steel woven mesh screening diffusion panels and absorbing drapes. Seating is in twelve different coloured leathers. A highly-sophisticated lighting scheme allows different ambiences to be created. 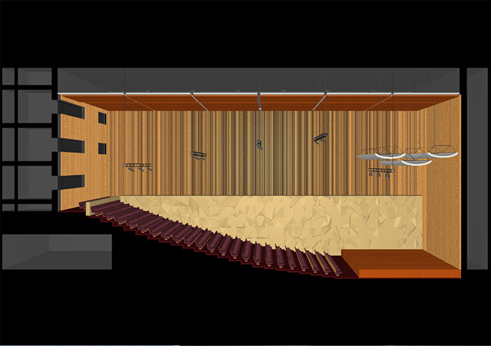 Hall 2, 500 seats, is clad entirely in wood veneers, including American Red Oak, Birdseye Maple and Japanese Cedar (Hinoki). 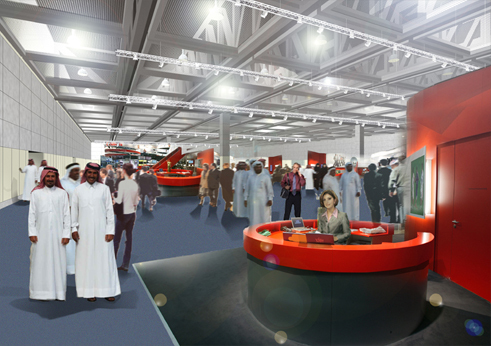 Hall 3 (4000 seats) features flexible seating on pallets and retractable tribunes, allowing the whole floor area to be cleared for major banquets or exhibitions in just 4 hours.